They’re back, as you may have heard, and their arena-sized ambitions have never been plainer: the Strokes have announced a show at Madison Square Garden on April 1. And no, that’s not a joke. This kind of is, though. 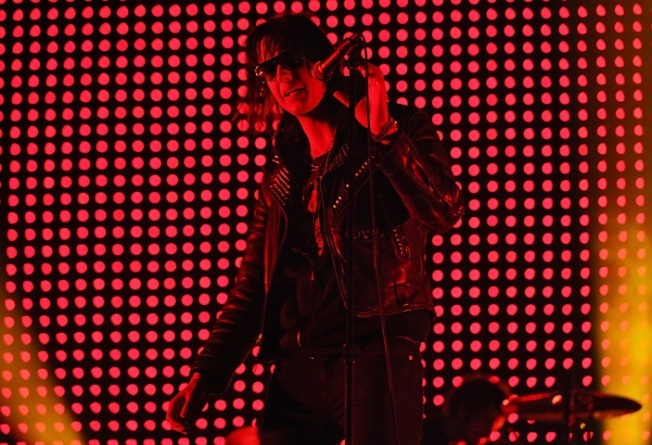 Julian Casablancas and his finely-cheekboned ilk will perform at the Garden the night before LCD Soundsystem take the same stage for their massive farewell show. Tickets for the former go on sale Friday, February 25, the lead singer announced last night. The band’s new record, Angles, lands on March 22.